Department of Geology was established in the year 1982 and the PG course (MSc.Geology) started in this department in the year 1987. Since then, the department has crossed many milestones of achievement in its journey towards excellence. Alumni of this department are serving the country with their knowledge of Geology in the capacity of Professor, Geologist entrepreneur,School teacher, consultant etc. 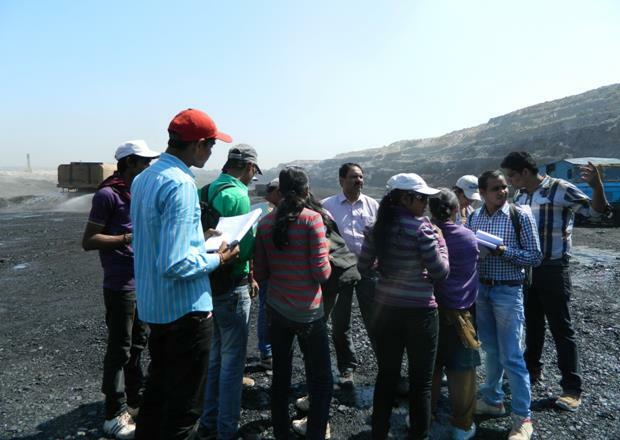 Geology department is a recognized research centre for Doctoral Degree of Pt. Ravishankar Shukla University Raipur and at present two research scholars are pursuing their Doctoral Degree. The Geology department seeks to provide the highest levels of education through continuous revision and expansion of our educational programs in order to produce well-trained, competent, academic and professional geo scientists capable of responding to societal needs. To develop in each student, critical thinking, enthusiasm, initiative and the necessary skills to become lifelong students of Earth Sciences. Prepare students for professional positions in industry and government and for career sin academic research and teaching. Pande S.K. & Shrivastava P.K. ( 1992-93), Soil mapping Utilizing remote sensing techniques and ground water balance study of SomniNala basin, Durg District ( M.P.) , Gondwana Geological Magazine, Nagpur, India, Vol.4&5 ,pp 87-105. - Bisen S.N., Pande S.K., Shrivastava P.K. (1995), Ground water pollution study for the Evaluation of usability of water in Drinking and Irrigation, Visapurnala Basin, District Chandrapur, Maharashtra, Journal of Ravishankar University, Raipur, India, Vol.8, pp39-50. Shrivastava P.K., Pande S.K. (1998) Interpretation and area estimation of various soil types through remote sensing techniques, in part of Patan block, Durg District. (M.P. ), Journal of Ultra Scientist of Physical sciences, India, Vol.10, No.1, pp 19-30. Shrivastava P.K., Pande S.K. ( 1998) , Interpretation of ground water quality for irrigation purpose in upper part of SomniNala Basin, Distt. Durg (M.P. )Proceeding of the National Seminar on " Mineral Resource Management" ,India, pp 9-11. Pande S.K. &Shrivastava P.K. (1999) , Charecterization of Somni stream water 9 Steel Plant Effluent Mixed Water) and Irrigation water Quality evaluation of surface water of Somni Stream Water shed area Durg, Indian Journal of Environmental Protection, Varanasi, Vol.19, No 10, India, pp 729-734. Pande S.K. &Shrivastava P.K. (2000), Impact of Steel Plant on ground water regime of Somni Stream watershed Distt. Durg (M.P. ), Proceeding of the National Seminar on Industrial Pollution and its control, Varanasi, India, pp 186-196. Shrivastava P.K., Pande S.K. (2001),Impact of Steel Plant effluent on Drinking Quality of water of SomniNala Basin, Durg District, Chhattisgarh. Proceeding of the First International Congress of " Chemistry and Environment" India, pp 211-216. Shrivastava P.K., Pande S.K. ( 2001) Impact of Bhilai Steel Plant Effluent on Black soil, SomniNala Basin, Durg District, Chhattisgarh. Proceeding of the First International Congress of " Chemistry and Environment" India, pp 224-226. Shrivastava P.K., Pande S.K. ( 2002), Impact of Bhilai Steel Plant Effluent on ground water quality of SomniNala Basin, Durg district Chhattisgarh for Drinking purpose. Book entitled " ecology of Polluted waters" Edited by Dr. Arvind Kumar, India, Vol.1, pp. 89-98. Shrivastava P.K., Pande S.K. ( 2002), Inter element correlation between major and trace element contents of ground water in Somni Stream watershed , Distt. Durg, Chhattisgarh, India, Proceedings of National Seminar on Computer Applications in Mineral Development and Water Resources Management , Published by South Asian Association of Economic Geologists, pp 128-130. Shrivastava P.K., Pande S.K. ( 2002-03), Water Resource Quality Evaluation for Drinking purpose: A case study of SomniNala Basin, District Durg, Chhattisgarh, India. Proceedings of the National Seminar on recent Researches on Proterozoic Basins of India, pp 123-130. Shrivastava P.K., Shrivastava P., and Singh P., ( 2003) effect of Modern Agriculture on Ground water quality, Journal of Ultra scientist of Physical sciences, Vol.15 920, pp 307-309. Shrivastava P.K. and Asthana A. ( 2006), Morphometric Analysis of Somni Stream watershed, Patan Block, durg district, Chhattisgarh, , Journal of Ultra scientist of Physical sciences,Vol.18 (2), pp227-230. Shrivastava P.K. and Asthana A. ( 2006),Seasonal variation in Ground Water quality in upper part of Patan Block, Durg district, Chhattisgarh, Nature , Environment and Pollution Technology, India, Vol.5, No.1 pp 111-117. Kulkarni P., Dixit N.P., Shrivastavap.K., Asthana A., ( 2007), MandeepKhol cave – Natures wonder in Rajnandgaon District, Chhattisgarh, India, Journal of Current Sciences, Vol.10(2), pp 757-762. Shrivastava P.K., Dixit N.P., Asthana A., Kulkarni P., ( 2007) MandeepKhol Cave : a classical site of Karst topography, Rajnandgaon District, Chhattisgarh, India, Journal of Ultra Scientist of Physical Sciences, Vol.19(1), pp 153-155. Shrivastava P.K., (2011), Water Quality Assessment and its impact on human health : A case study of Somni Stream watershed Patan Block Durg, District Chhattigarh, Indian Journal& Science & Technology, VOl. 4 No. 3 , 240-244. Fluid Inclusion Studies of Auriferous Quartz Veins from Sonakhan Greenstone Belt, Central India. SGAT Bulletin Vol. 16, No.2 (2015)pp33-38. ISSN 0972-2173, S. D. Deshmukh, K. R. Hari and P. Diwan. Environmental education :The need of the hour. Environmental Pollution Control journal,vol.17, No. 1, 2013. pp 67-68. ISSN 0972-1541. 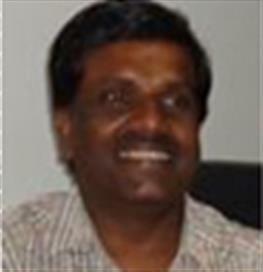 S.D.Deshmukh. Biotechnology: a paramount tool in the strategy for treatment of waste water. Environmental Pollution Control journal,vol.16, No. 5, . 2013. pp 69-72 ISSN 0972-1541 Sandeep Vansutre and S.D.Deshmukh. Sustainable development in mining sector.. Environmental Pollution Control journal,vol.16, No. 4, 2013 pp 45-47. ISSN 0972-1541. S.D. Deshmukh . Stress Management : An important aspect of Education for women, Social science Reporter Vol.3, Issue 1(2013),pp.27-29. Tembhare B., Shrivastava PK, Deshmukh SD. Gems and Gemmology – Bastar a Promising Land, Nat. 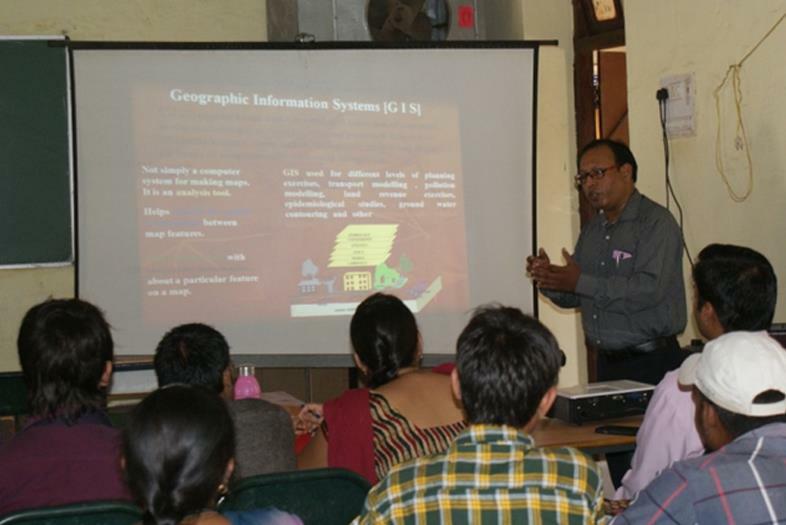 Sem., Bastar University, Chhattisgarh on"Socio-Economic Development of Ethnic Population in Chhattisgarh with Integrated Approach to Natural Resources", Abs. Vol 2014 p 60. Vansutre S., Deshmukh S.D. and Hari K.R. Gems and Gemology- A promising field for emerging Research and Development Spl. Pub. No. 08, "Vistas in Geological Research", Dept. 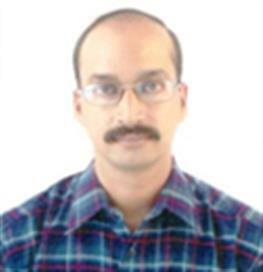 of Geology, Utkal Univ., Bhubaneswar, Orrisa, 2009. pp. 123-130.Vansutre, S., Hari, K.R., Deshmukh, S.D. and Gour, P.S. Gems and Gemmology – Bastar a Promising Land,. Nat. Sem., Bastar University, Chhattisgarh on "Socio-Economic Development of Ethnic Population in Chhattisgarh with Integrated Approach to Natural Resources", Abs. Vol.2009, p 60. Vansutre S., Deshmukh S.D. and Hari K.R. Constructed Wetlands- A Bioremediation Technology for Waste Water Treatment, Workshop on "Ground Water Scenario and Quality in Chhattisgarh", Proc. Vol.,2009 pp. 70 to 75.CGWB Raipur . Tyagi, D.S., Vansutre, S. and Deshmukh, S.D. Pillow Lavas of Baghmara Formation (Sonakhan Greenstone Belt), Central India: Geochemical Constraints from Major Elements, Gond. Geol. Magz., V - 21(1),june 2006, ,. pp. 37-42. S.D.Deshmukh, K.R.Hari and P.Diwan. Internet Resources : A boon for Geoscience Education. Spl. Pub. No. 05, "Vistas in Geological Research", Dept. of Geology, Utkal Univ., Bhubaneswar, Orrisa, 2006 pp. 4-12. S.D.Deshmukh, P.Diwan and K.R.Hari. Effective teaching: The need of the hour in Higher Education. Research Link – 19, Vol – IV, April 2005, pp 78-83. ISSN – 0973-1628 , N. S. Suryanarayana, K.R. Hari, P.K. Shrivastava and S.D. Deshmukh. A national seminar on emerging trends inscientific research sponsored by UGC was organized on 11th and 12th October,2011. The keynote speakers were Dr. Yamuna Singh, Director, AMD , Hyderabad,Prof. M.W.Y. Khan, Pt. R.S. University, Raipur, Prof. S.K. Saxena , Balaghat,and Prof. S.F.R. Khadri, Amravati. In all 24 papers were presented during theseminar in three technical sessions. The theme of papers covered a range oftopics from mineral wealth of Chhattisgarh to Hydrogeological studies ofvarious parts of the country. Topic – 02 "Scope and importance of Geology"
The departmental library contains more than 450 books and a treasure of e-books pertaining to various branches of Geology. The students are benefited from these learning resources.